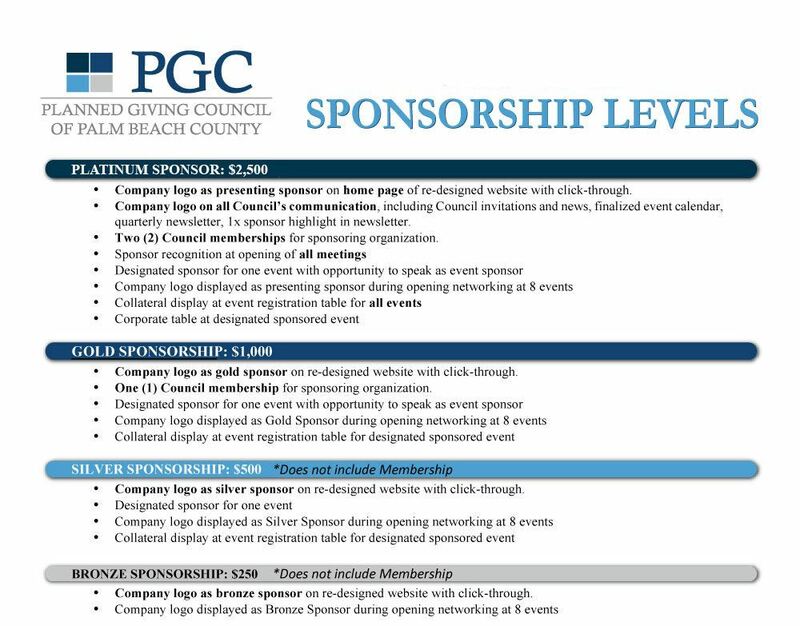 Please consider becoming a sponsor of the Planned Giving Council of Palm Beach County. Ready to sign-up and register as a Sponsor? CLICK HERE to get registered today!